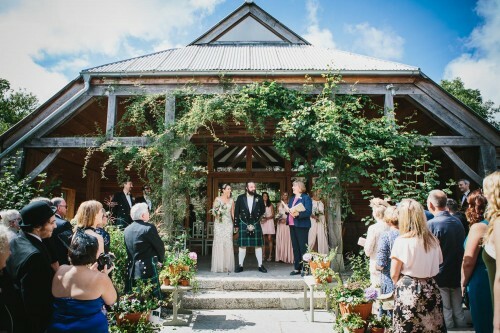 Last August we journeyed into the Cornish countryside, tucked away in its own private estate, surrounded by rich green pastures was our couples chosen venue, Nancarrow Farm. 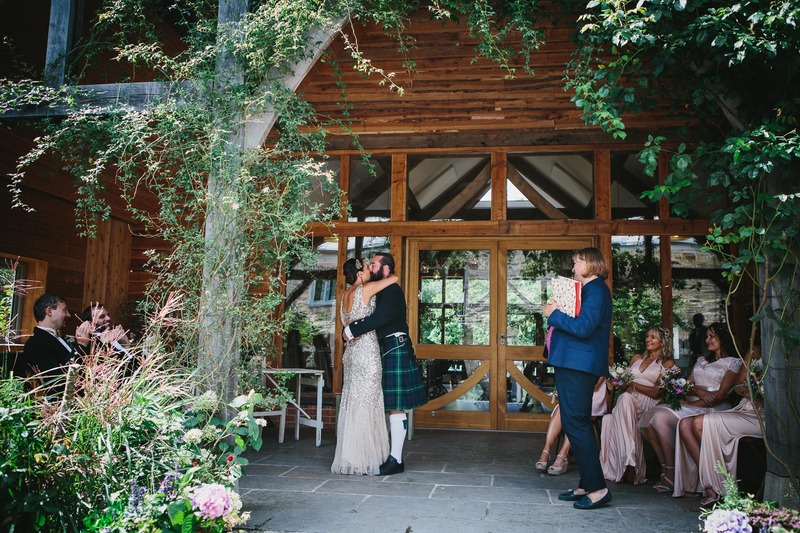 Phillip and Bella had chosen to travel to Cornwall from Australia for their wedding ceremony and had fallen in love with Nancarrow Farm. Bella is originally from England and her parents currently live in Cornwall, hence the couples’ choice to get married here. They first discovered our celebrant ceremonies through our website and quickly enquired as to how we could work together to create their day. 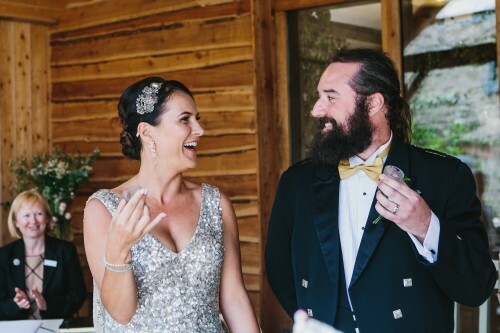 Living on opposite sides of the world meant that we worked closely on SKYPE and via email to create a personalised script for their ceremony. Phillip has Polish ancestry so we looked at ways to incorporate Polish wedding customs and traditions into the ceremony to make it unique and special to them. One of these traditions was the offering of salt and bread to the couple which symbolises the prosperity and bitterness that life can bring. The second was the offering of 2 shot glasses, one of vodka and the other of water. Whichever of the couple gets the vodka rules in the marriage – Bella got the vodka! This was a particularly fun and memorable part of the ceremony and the Polish contingent of guests really enjoyed these moments!